1649 Charles I, king of England, Scotland and Ireland Died. Ice cream is said to have come from France when he married Henrietta Maria, daughter of Henri IV, and sister of Louis XIII. 1868 Charles Darwin’s ‘Variation of Animals and Plants Under Domestication.’ was published. 1969 The Beatles perform for the last time in public, on the roof of Apple Studios. 2009 RIP Restaurateur Milton; age of 90. Owner of New York’s famous Carnegie Deli from 1976 until his retirement in 2002. Daily Facts: Each croissant rolls are made of 50 or more thin layers of pastry & butter. The Kipferl – ancestor of the croissant – has been documented in Austria going back at least as far as the 13th century, in various shapes. 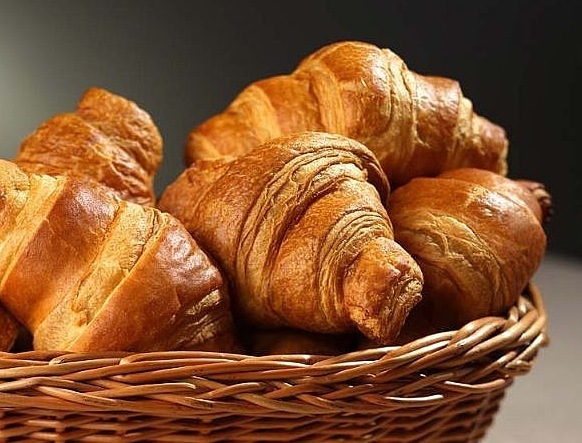 The “birth” of the croissant itself – that is, its adaptation from the plainer form of Kipferl, before the invention of Viennoiserie – can be dated with some precision to at latest 1839 (some say 1838), when an Austrian artillery officer, August Zang, founded a Viennese Bakery (“Boulangerie Viennoise”) at 92, rue de Richelieu in Paris. 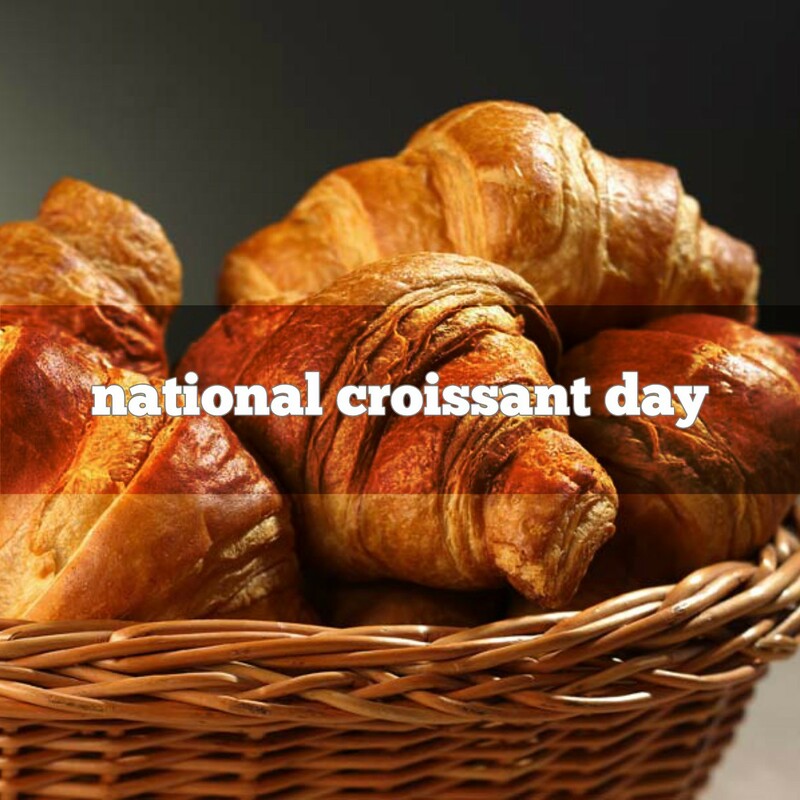 Uncooked croissant can also be wrapped around any praline, almond paste or chocolate before it is baked (in the last case, it becomes like pain au chocolat, which has a different, non-crescent, shape), or sliced to admit sweet or savoury fillings.